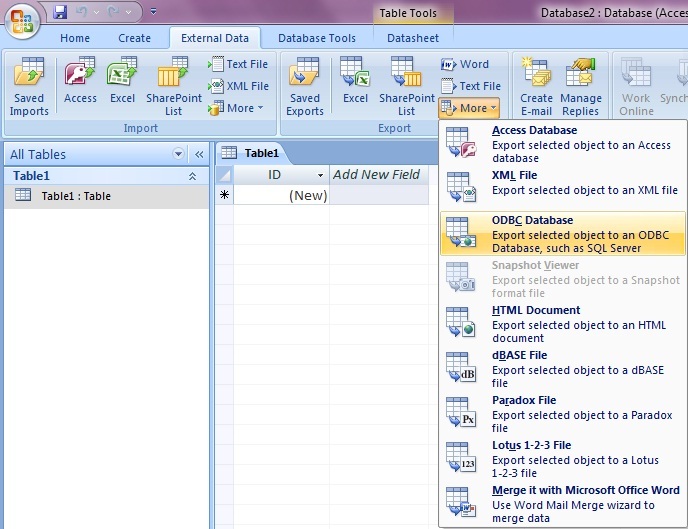 We can export Microsoft Excel or Access tables to MySQL database by using MySQL ODBC Connector. We will learn how to export from Access to MySQL first. So to export Excel workbook we first open the excel table in MS Access and then shift the same to MySQL. We will start with MS Excel to Access but before that we will learn how to Install ODBC connector. Download MySQL ODBC connector for windows from MySQL site. Run the installer after downloading. 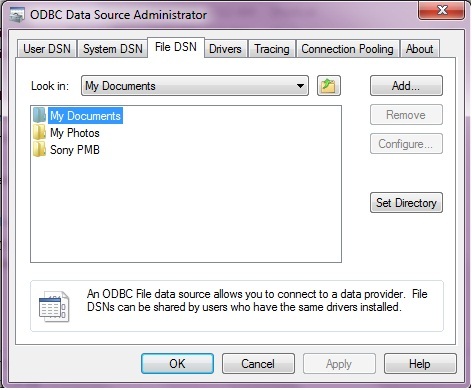 Then in your Windows goto Control Panel > Administrative tools > Data Sources ( ODBC). From the top tabs select File DSN and then click Add. From Create New Data Source dialogue box select MySQL ODBC 5.1 Driver , click Next and you can save the file connection at desire location. Once you click Finish you will be presented with a Dialogue box where Connection Parameters can be stored. After entering the MySQL login ID and password you can select one database from the drop down list. These details can be changed in future while exporting other tables also. There is a Test button to check the connection after entering the details. Obviously you need to keep your MySQL database in running condition. Open the access table you want to expert , if you want to use one Excel table then first open the excel table in Access. To open Excel table in Access , in Access goto File Open dialogue box, select Excel Workbook or MS Excel in drop down list and then select the excel file you want to open. Then a link Spreadsheet Wizard will appear, in the second tab you can specify if first row is the column head ( field name ) of the table. Finish this wizard and return to main page. Now we are ready with our Access table to be exported to MySQL. In Access top tabs goto External Data and then click More and select ODBC Database (Expert selected object to an ODBC database , such as SQL server ), you will be asked to enter a name in a text box. This is going to be the name of the table in our MySQL database once the exporting process is over.